Girlstuff Forever is in Cebu! 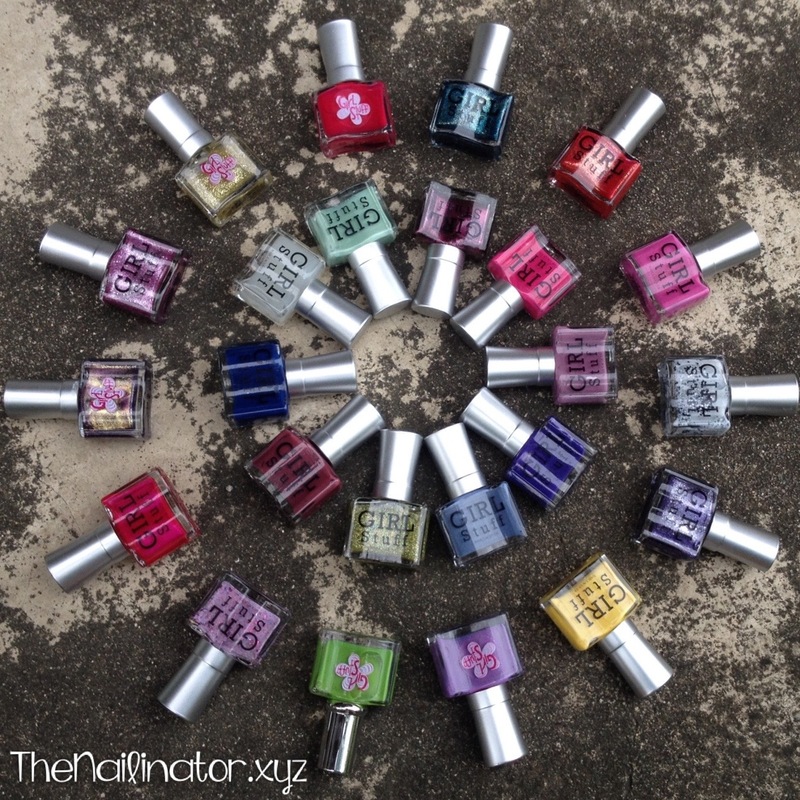 I’m thrilled that one of my favorite polish brands is now available here in Cebu City, Philippines. Girlstuff Forever has just opened a kiosk at Ayala Center Cebu on the 2nd floor along Paseo Ciudad (near What A Girl Wants and Converse). 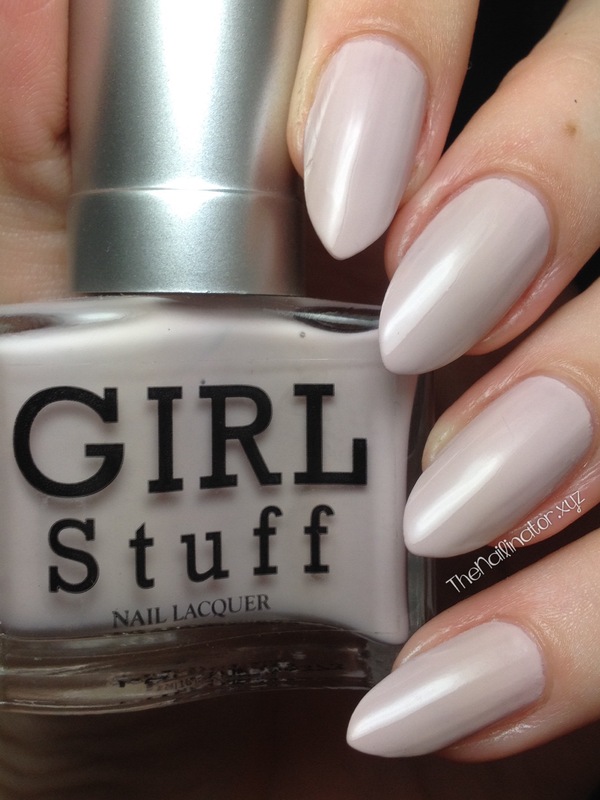 I was invited to attend the press event for the opening, and I wanted to share the nail art I wore for the event and to tell you more about Girlstuff and why I love it so much. Aren’t these adorable? 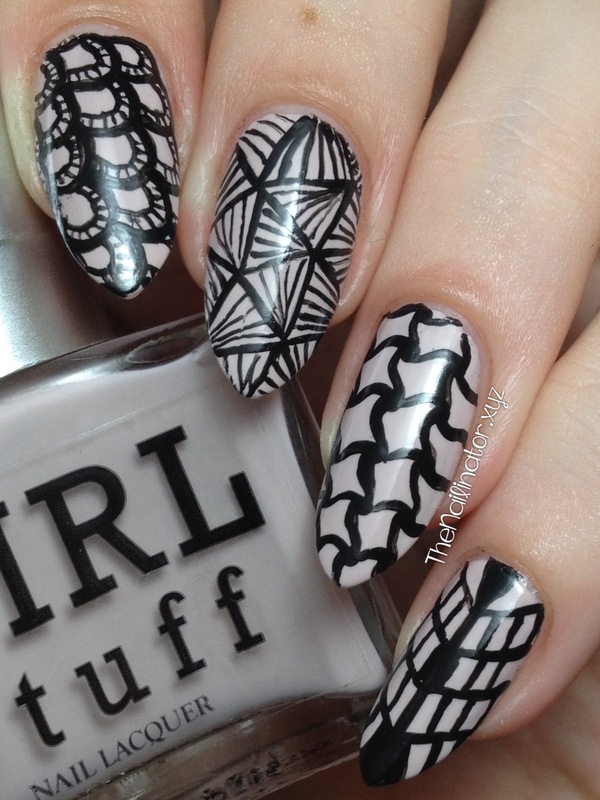 I started with Girlstuff Wild Berries as my base and used striping tape to tape off the triangles and filled them in with Girlstuff Enchantè. I added the rhinestones with a dab of nail glue and finished off with topcoat. For the accent nail, I used my biggest dotting tool with Wild Berries to make the big blob parts of the rose. Then I used a tiny dotting tool and some light pink for the swirly parts of the flower. 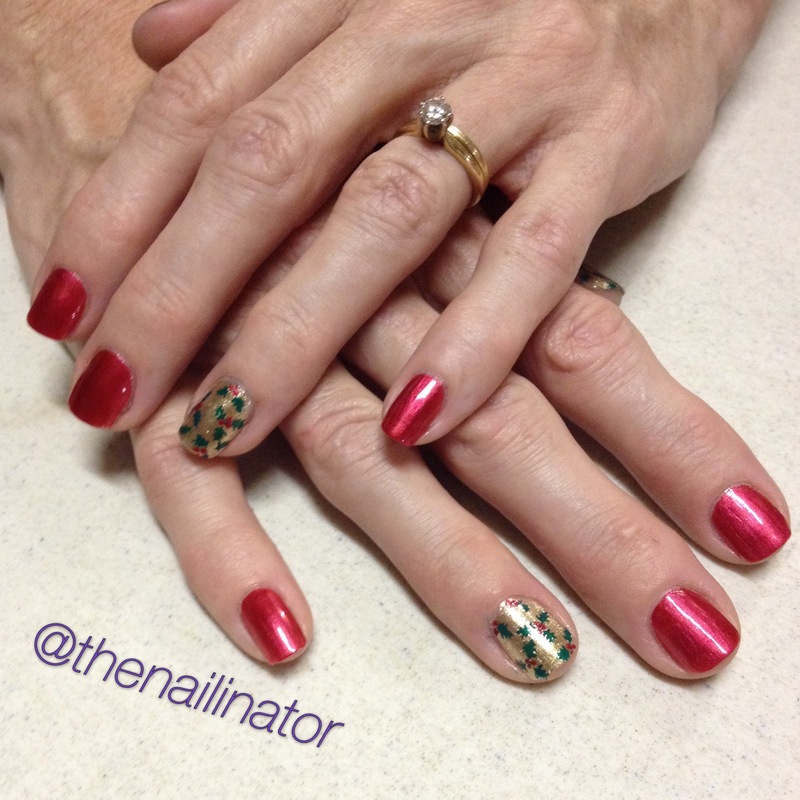 I used a small nail art brush for the leaves and the tiny polka dots. 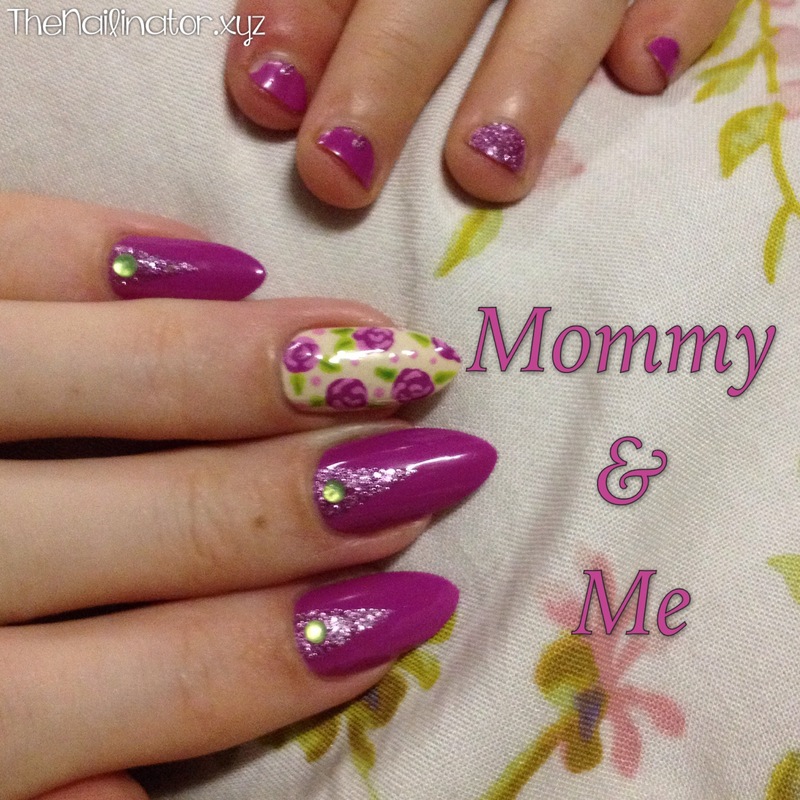 My little one wanted her nails done “like mommy’s”. It was fun to have matching nails. Girlstuff is the first 5-free nail polish brand in the Philippines. The polish is actually made in France but only sold here. I love this brand because, in addition to being safe for my little girl to wear (which she does quite often), there is a wide selection of colors and finishes to choose from. I’ve included a swatch shot of Red Velvet, which is part of their newest “Redilicious” fall collection. It’s so pretty and shimmery. I used 3 thin coats and no top coat for this shot. They will be releasing a Christmas collection soon so keep an eye out for that as well. 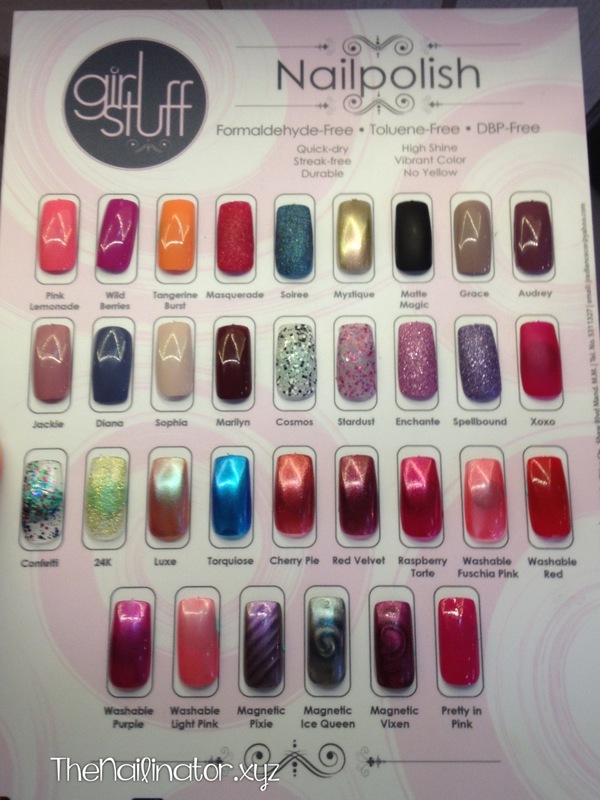 Girlstuff also carries a variety of nail art tools and accessories like rhinestones, dotting tools, brushes, stickers, and the like. They even have washable polishes which can be removed with soap and water. 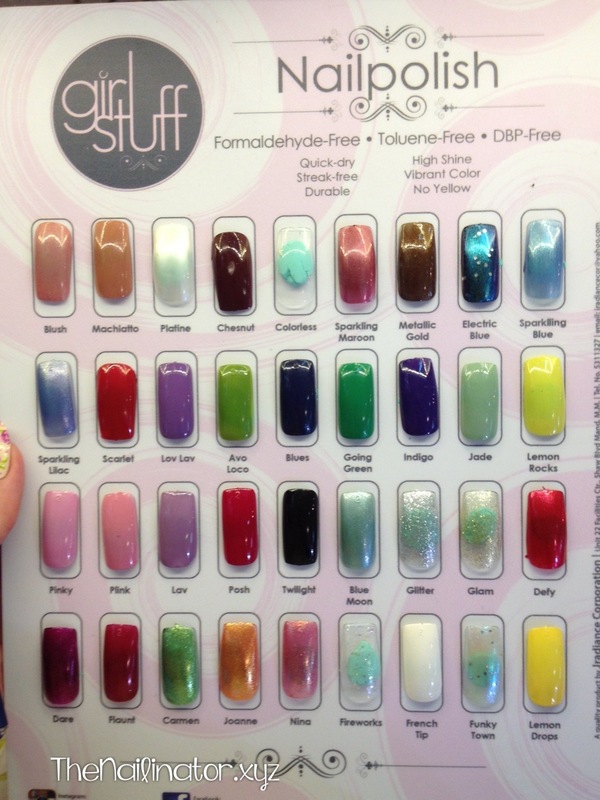 I will be getting my little girl some of those when she is a bit older and wants to do her own nails. The owner and founder of the company, Janina, is a chemist-turned-SAHM. She started off making colognes and other products for little girls that are free of harmful chemicals. 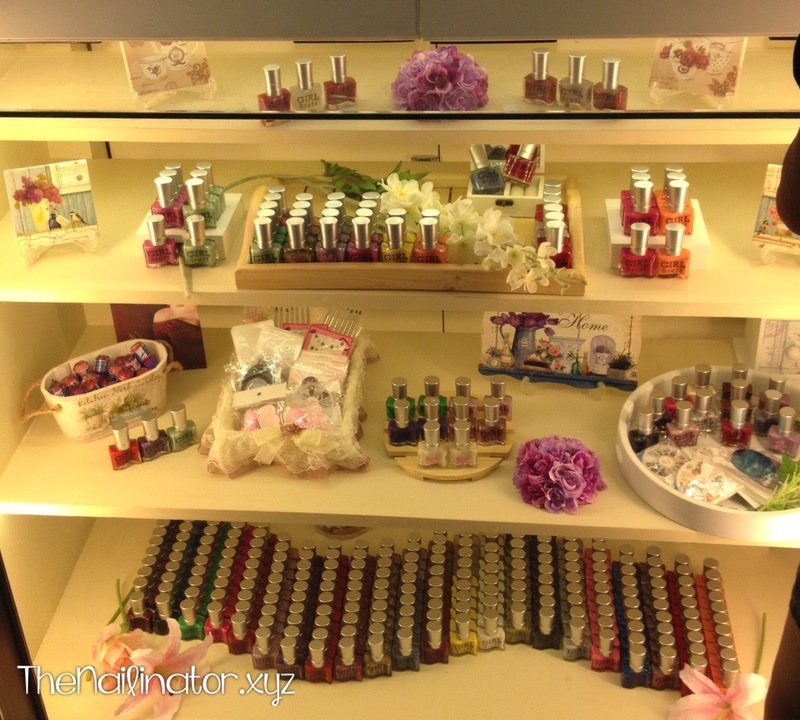 Eventually she started making nail polishes. Janina told me that each product is tested multiple times during production to ensure that the finished products are safe for us and especially for our little ones. 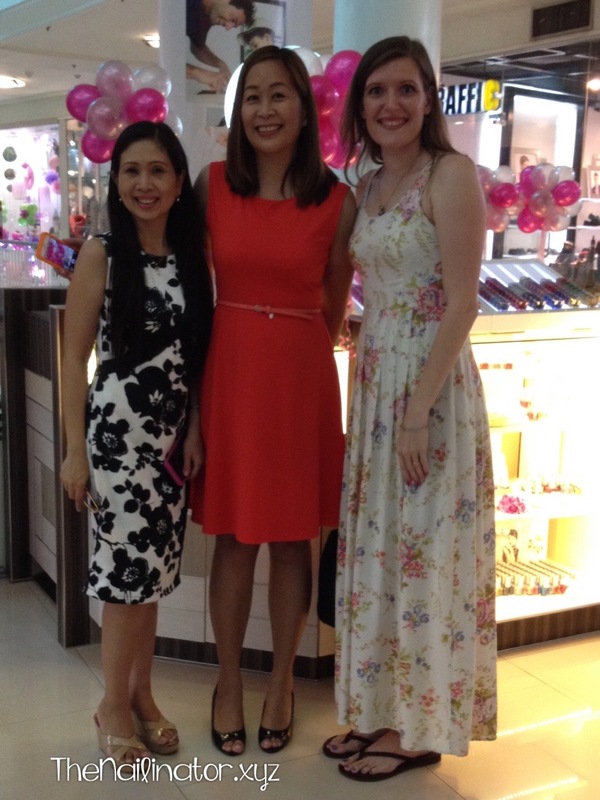 Here’s a shot of me at the opening (on the right) with Janina (middle) and Ging, (on the left) who is the operator of the Cebu branch. If you want to get your hands on some of this lovely polish for you or for the little girls in your life, you can find them here in Cebu on the 2nd level of Ayala. The other branches are located at SM Mall Of Asia, SM North Edsa, SM Megamall and SM San Lazaro. You can also contact them directly and they can ship to you. 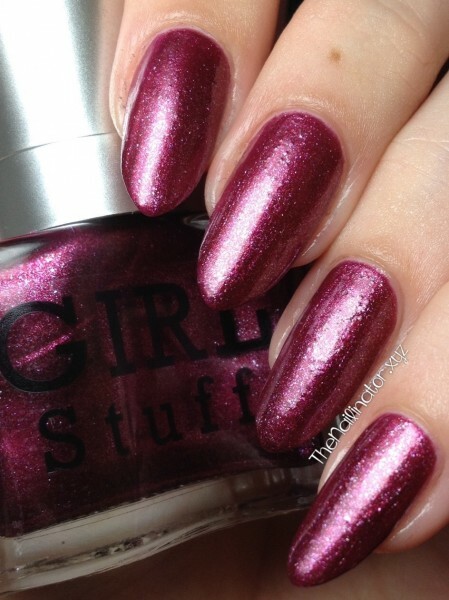 You can keep up with Girlstuff through Facebook, Instagram, or their brand new website. The kids were super cute in their costumes, and they had a blast trick-or-treating. As of today, there are a bunch of sales girls at Park Mall that have photos on their phones of an adorable Mario and Elsa. I had a lot of fun with them. I never did get around to doing any Halloween nail art for myself aside from my stamped spiderwebs from last week. 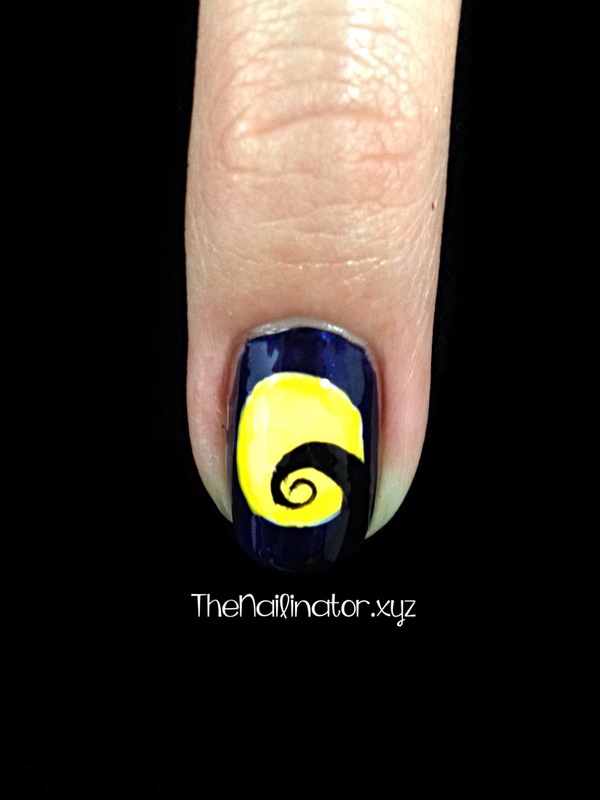 My baby sister (aka The Shutterbug) asked me to do her nails last week though, so I do have another design to share. 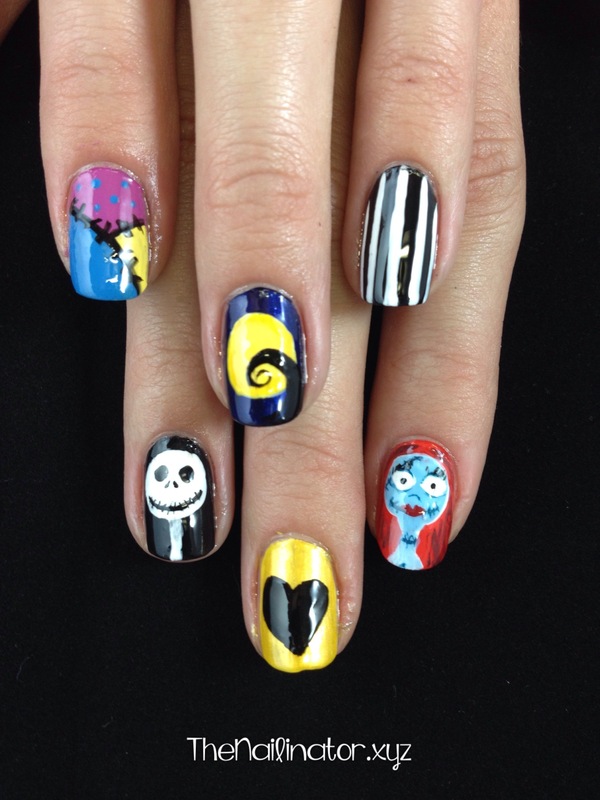 I knew she needed some Nightmare Before Christmas nail art for the season. I looked online for some screen shots from the movie and did some doodling and came up with a few nail ideas. I asked her for some input as well since I’ve never seen the movie, and this is what we came up with. To do these, I used brushes from the 8 pc. 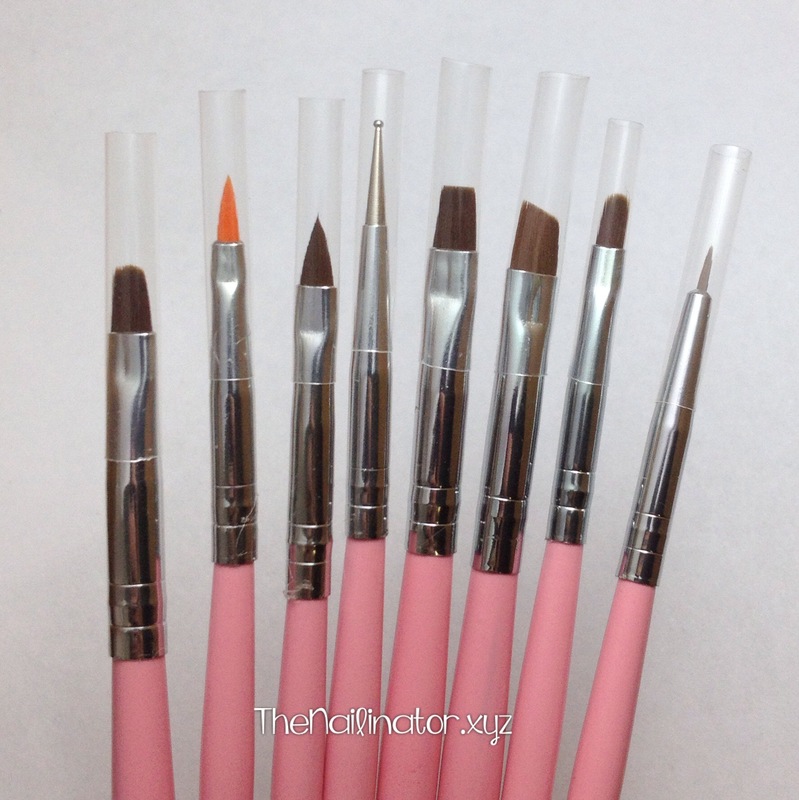 nail art brush set I reviewed yesterday. I did use a striping brush and one of my other brushes that I cut down to a teensy size (like 8 strands) to do the stitches and lashes on Sally. But everything else was done with those brushes from Born Pretty Store. Cute huh? We got out the lightbox out to take pictures of these and Mr. Nailinator took the liberty of taking the photos for me since I wasn’t feeling well at the time. They turned out too bright and a bit fuzzy because he didn’t check them before he released sent The Shutterbug off to enjoy her nails. Anyway, he tried to sharpen the close up shots for me a bit so that they would be as clear as possible. Though the pictures don’t really do them justice (IMHO), I still wanted to share these with you as I’m pretty darn proud of them. 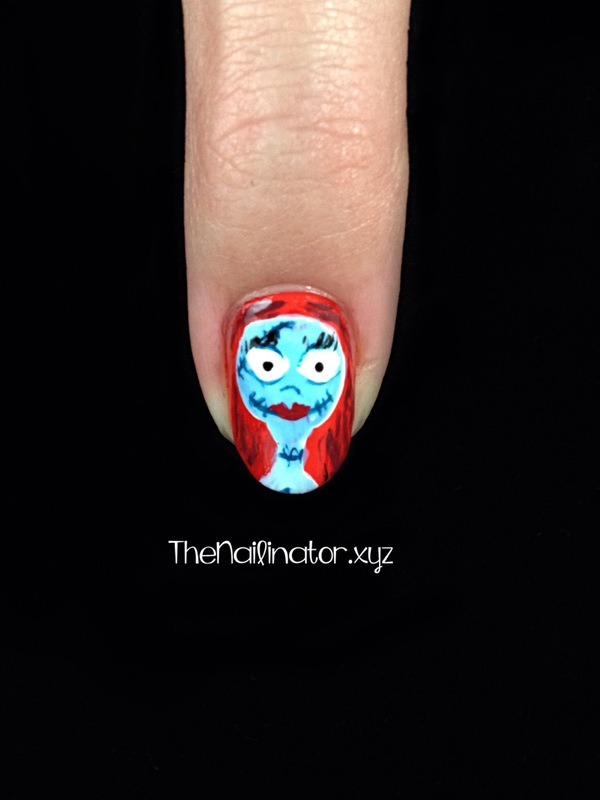 I’m not really into gory, bloody, and creepy stuff, and I don’t like scary movies. I’m a mom of two little ones who mostly watches Winnie the Pooh and The Magic School Bus, so don’t expect much nail art like that over the years. 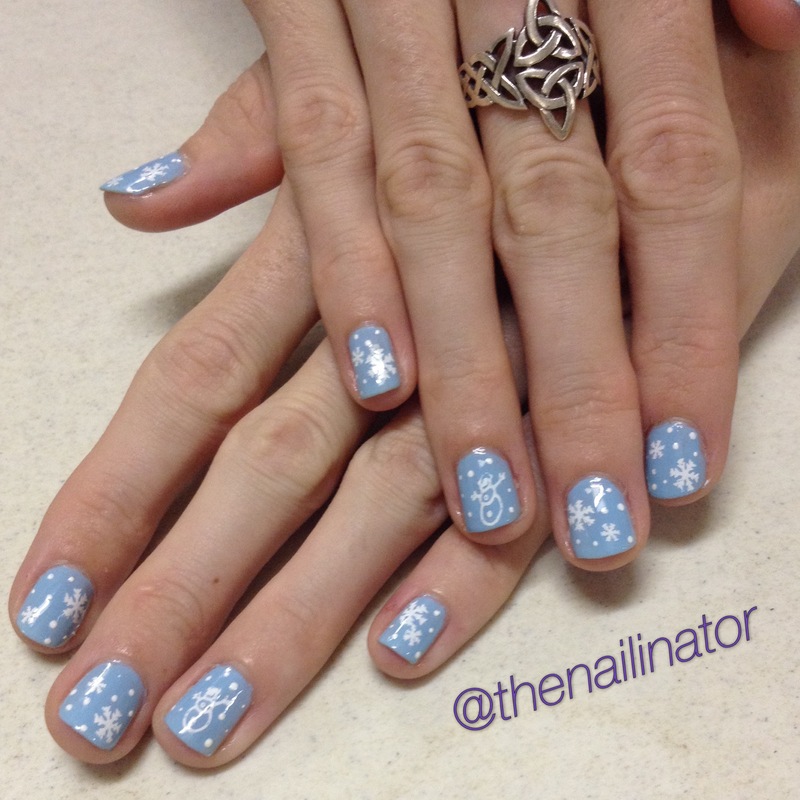 What you can expect are Christmas nails when it’s the season. Because I. LOVE. CHRISTMAS! Seriously though, it makes me ridiculously giddy. Today I’m reviewing a brush set from Born Pretty Store. They sell all sorts of nail art supplies and products (plus makeup, jewelry, etc.) and ship internationally for free, which is great! If you live in the Philippines, you will have to pay customs and a parcel fee on the package when it arrives. So keep that in mind. It cost me about 150 pesos to claim a package with 3 items in it. Just something to consider when ordering online. The product I’m reviewing today is their 8 pc Nail Art Brush Set. I am rather pleased with this affordable brush set. They cost USD$4.32 right now, which is about PHP 190. 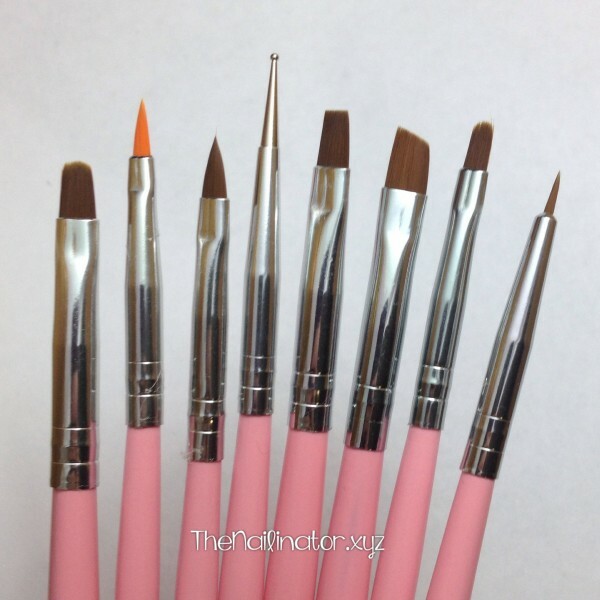 The set includes seven different brushes and one small dotting tool. The handles are pink, which I personally love. If you look at the close-ups of the brushes below, you will see two sizes of brushes that come to a point, one angled brush, one flat brush, and two sizes of flat brushes that are slightly rounded at the end. 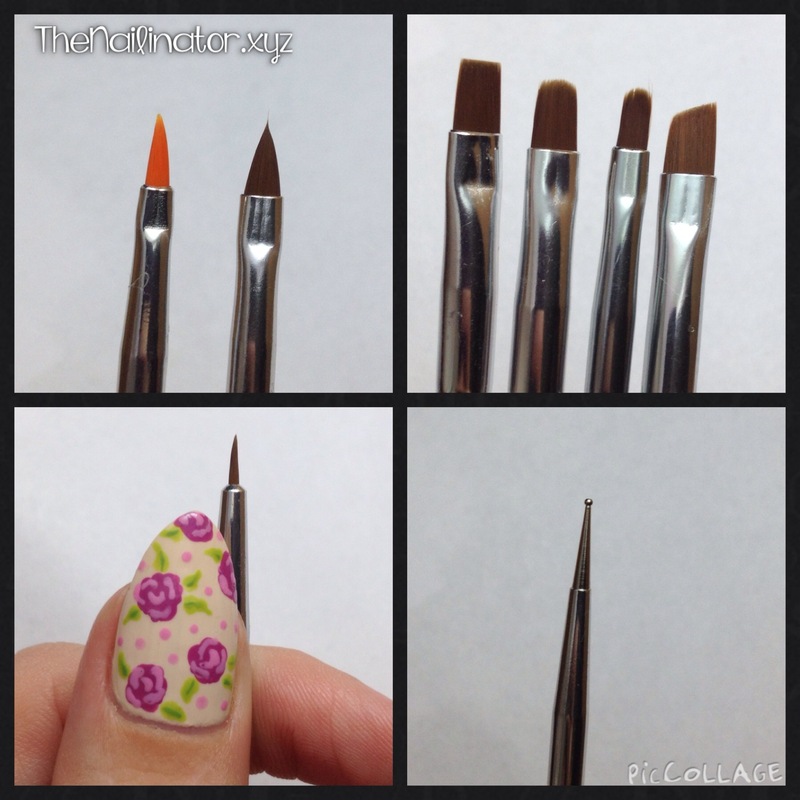 I love these flat brushes for cleanup around the cuticle or for making bigger shapes for nail designs. If I had any skills whatsoever with one-stroke flowers, I’m sure they would be perfect for that as well. The set also comes with a very small tip brush, which is great for detail work (like the leaves of my roses in the picture below). The dotting tool in this set is a very small one and it’s perfect for making tiny polka dots like you see below and for the swirly parts of these roses. 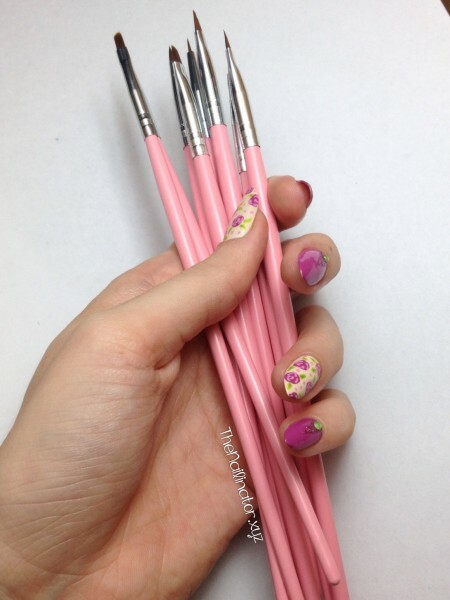 I use this size of a dotting tool to do the markings of leopard print nail art. The set is shipped with these protective covers (pictured below) to help keep them from being bent. It is best to store them with the covers on, just to be safe. Overall, this is definitely a good set of brushes. The price is right, it has a decent variety of tools and uses. If you purchased this set, you would be able to do a lot of different designs with them. You could even cut some of the bristles off one of these brushes to make finer tip brushes if you want something smaller. 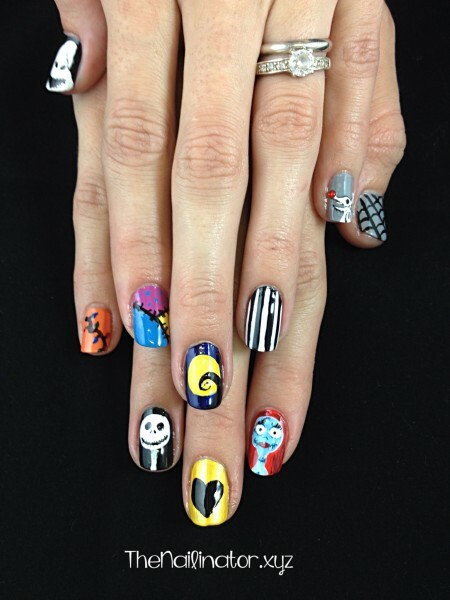 I’ll be sharing some nail art I’ve done with these very soon. Well, that’s my review of this 8 pc. 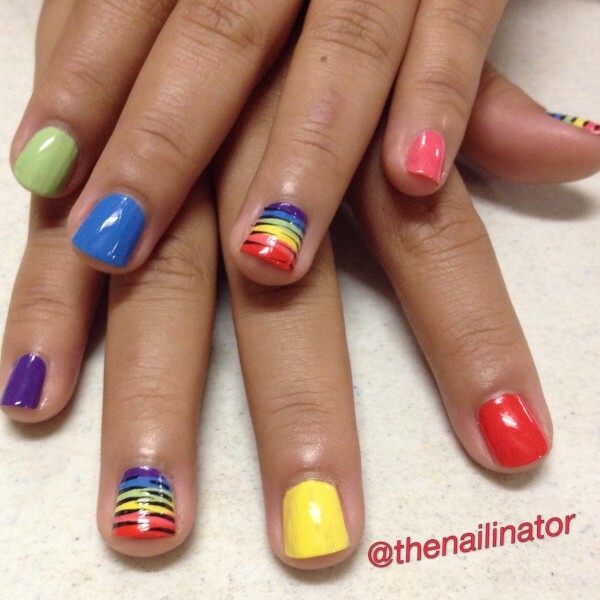 Nail Art Brush Set. What do you think of this set? Do you want it? Already have it? I’ve got a coupon code for you that will give you 10% off your entire order if you get the hankering to order this, or anything else, on BornPrettyStore.com. I hope you have a great day. I’m off to bed so I can get up in the morning and take my two little ones (Super Mario and Queen Elsa) trick-or-treating at the mall. Yeah, we do things a bit differently here in the Philippines.